Today, The ALS Association announced its support of 58 new research grants totaling $11,621,638 to find treatments and a cure for the disease. These research awards include investigator-initiated grants, drug development contracts, Milton Safenowitz Postdoctoral Fellowships and support of the NEALS/TREAT ALS™ Clinical Trials Network. Read the press release here. Investigator-initiated grants draw on the knowledge of diverse experts throughout the world whose efforts are all dedicated to advancing the search for new treatments for ALS. The ALS Association focuses its funding on five key areas of research: genes, models and mechanisms, biomarkers, therapy development, and clinical trials. 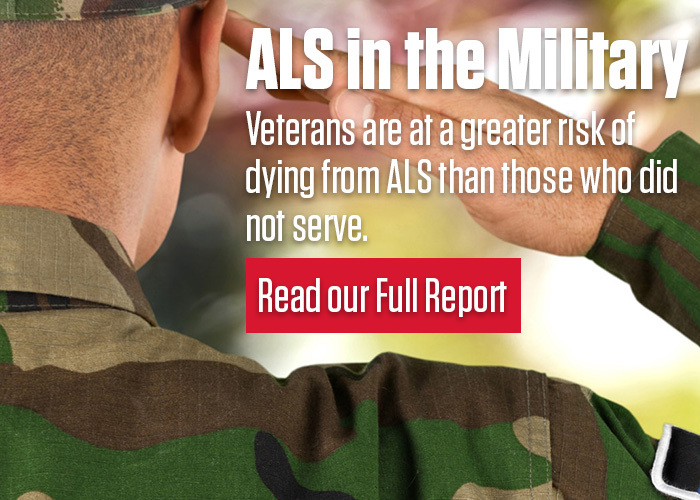 Scientists believe that most, if not all, cases of ALS are due at least in part to genes. Major gene discoveries have been made in the past decade, but more remains to be learned. Elizabeth Blankenhorn, Ph.D., Professor, Terry Heimann-Patterson, M.D., Professor, and Guillermo Alexander, Ph.D., Professor at Drexel University College of Medicine in Philadelphia, Pennsylvania, will receive $240,000 to study genetic modifiers of a murine motor neuron disease (the G93A SOD1 transgenic mouse). Terry Heimann Patterson, M.D., Professor, and Guillermo Alexander, Ph.D., Professor at Drexel University College of Medicine in Philadelphia, Pennsylvania will receive $240,000 to identify genetic modifiers of SOD1 and Dynactin mouse models. Jonathan Enriquez, Ph.D., Postdoctoral Fellow, and Richard Mann, Ph.D., Professor at Columbia University in New York will receive $40,000 to study the genetic specification of individual motor neuron identities. Vivianna Van Deerlin, M.D., Ph.D., Professor at the University of Pennsylvania, Philadelphia will receive $106,977 for sample collection of ALS and FTD patients for whole genome sequencing in partnership with the New York Genome Center. Important advances in understanding the ALS disease process have been made, but more remains to be learned. The study of the disease is done most efficiently in a disease model. Rodent models continue to provide important insights and newer models employing human cells are poised to extend this work. Steve Goldman, M.D., Ph.D., Professor at the Center for Translational Neuromedicine at the University of Rochester Medical Center in Rochester, New York, will receive $240,000 to create a C9orf72 human iPSC glial chimeric mouse model of ALS/FTD. Philip Wong, Ph.D., Professor at Johns Hopkins University in Baltimore, Maryland, will receive $160,000 to further define the RNA splicing role of TDP-43. J. Paul Taylor, M.D., Ph.D., Professor at St. Jude Children’s Research Hospital in Nashville, Tennessee, will receive $240,000 to study the role of RNA granule dynamics in ALS. Henry Paulson, M.D., Ph.D., Professor at the University of Michigan in Ann Arbor will receive $240,000 to define the role of ubiquilins in ALS/FTD. Yichang Jia, Ph.D., Assistant Professor at Tsinghua University School of Medicine in China will receive $80,000 to pursue mechanistic studies in knock-in mouse models carrying human TDP-43 and FUS mutations. Gene Yeo, Ph.D., Associate Professor at the University of California at San Diego will receive $240,000 to perform a comprehensive analysis of RNA localization and transport mechanisms in wildtype and ALS motor neurons. Elizabeth Fisher, Ph.D., Professor, and Anne Devoy, M.D., of the Institute of Neurology at University College, London, and Abraham Acevedo-Arozena, M.D., Group Leader at the Medical Research Council in Oxfordshire, in the United Kingdom, will receive $160,000 to develop a new humanized delta14 mutant mouse model for dissecting the pathobiology of FUS-ALS. Yongje Zhang, Ph.D., Assistant Professor, and Leonard Petrucelli, Ph.D., Professor at the Mayo Clinic in Jacksonville, Florida, will receive $240,000 to study mouse models of sense and antisense C9orf72 transcripts. James Connor, Ph.D., Professor at Pennsylvania State University will receive $240,000 to study how limiting microglial-induced inflammation promotes neuronal survival. Gregory A. Cox, Ph.D., Associate Professor at the Jackson Laboratory in Bar Harbor, Maine will receive $80,000 to study nuclear-cytoplasmic transport defects in ALS. P. Hande Ozdinler, Ph.D., Assistant Professor, and Neil Kelleher, Ph.D., Professor at Northwestern University Feinberg School of Medicine in Chicago will receive $240,000 to compare protein dynamics within healthy and vulnerable upper motor neurons as an early detection marker and novel disease mechanism. Mingchen Jiang, M.D., Ph.D., Research Assistant Professor, and Charles Heckman, Ph.D., Professor at Northwestern University Feinberg School of Medicine in Chicago will receive $240,000 to study hyperexcitability in synaptic activity of spinal motor neurons in mutant SOD1 (G93A) mice. Rita Sattler, Ph.D., Assistant Professor at Johns Hopkins University in Baltimore, Maryland, will receive $240,000 to study the role of synaptic dysfunction in C9orf72-mediated pathogenesis in patient-derived iPS neurons and in vivo animal models. Daniel Mordes, M.D., Ph.D., who is a Fellow, and Kevin Eggan, Ph.D., Professor at Harvard University in Cambridge, Massachusetts will receive $40,000 to study the function of C9orf72 in ALS. Luc Dupuis, Ph.D., Senior Research Associate, of INSERM in Strasbourg, France, and Clotilde Lagier-Tourenne, M.D., Ph.D. Service of Neurology, Massachusetts General Hospital, Boston, Calif., will receive $160,000 to study the contribution of gain- and loss-of-function mechanisms in a mouse model of FUS-ALS. Keith T. Gagnon, Ph.D., Assistant Professor at Southern Illinois University School of Medicine in Springfield will receive $40,000 to develop flexible and accessible cell-based models of c9FTD/ALS. Matthew Harms, M.D., Assistant Professor at Washington University School of Medicine in Saint Louis, Missouri, will receive $40,000 to study the mechanisms and phenotypes of ALS caused by the novel ALS gene TBK1. Erik Ullian, Ph.D., Associate Professor, and David Rowitch, M.D., Ph.D., Professor, at the University of California, San Francisco, will receive $40,000 to examine how the loss of astrocyte Kir4.1 accelerates onset of ALS. Javier H. Jara, Ph.D., Postdoctoral Fellow at Northwestern University in Evanston, Illinois, will receive $40,000 to study the role of traumatic brain injury in ALS. Patricia Lillo, M.D., Ph.D., Assistant Professor at the Facultad de Medicina, Universidad de Chile, in Santiago, will receive $40,000 to study temporal and spatial clusters of mortality rates by ALS in Chile (1990-2012). Vladimir N. Uversky, M.D., Associate Professor at the University of South Florida in Tampa will receive $40,000 to pursue experimental and theoretical investigations of the structure and mechanism of aggregation of RNA-binding proteins TDP-43 and FUS, including the role of intrinsic disorder and macromolecular crowding. J. Ross Buchan, Ph.D., Assistant Professor at the University of Arizona in Tucson will receive $40,000 to define the role of granulophagy and VCP/Cdc48 in mitigating TDP-43 toxicity. Joel Ophoff, Ph.D., Professor at the University of California, Los Angeles, will receive $40,000 to study the role of DNA helicases in C9orf72 hexanucleotide repeat expansion in ALS. Biomarkers are measurable changes that track disease onset, progression, or response to therapy. Biomarkers have the potential to allow clinical trials to be smaller, faster, and more informative. Finding robust biomarkers for ALS is a priority for speeding the development of new therapies. Kourosh Rezania, M.D., Associate Professor at the University of Chicago Department of Neurology will receive $240,000 to assess intermuscular coherence as a biomarker for ALS. Jeff Bulte, Ph.D., Professor at Johns Hopkins University in Baltimore, Maryland, will receive $240,000 to study immunomodulation and glia restoration by transplanted stem cells, using novel imaging biomarkers. Mercedes Prudencio, Ph.D., Research Associate and Instructor at the Mayo Clinic in Jacksonville, Florida, will receive $240,000 to pursue ALS biomarker discovery in RNA from blood. David L. Ennist, Ph.D., Chief Science Officer at Origent Data Sciences, Inc., in Vienna, Virginia, will receive $180,000 to prospectively validate an ALS disease progression algorithm in the clinic setting. Kendall Van Keuren-Jensen, Ph.D., Associate Professor at The Genomics Institute in Phoenix, Arizona, will receive $240,000 to study the content of extracellular vesicles in patients with ALS. New treatment strategies for ALS arise from careful experimentation and, occasionally, unexpected observations. Jingsong Zhou, M.D., Ph.D., Professor at Kansas City University of Medicine in Kansas City, Missouri, and Jun Sun, Ph.D., Associate Professor at Rush University Medical Center in Chicago, will receive $80,000 to explore targeting the microbiota to alleviate ALS progression. Paramita Chakrabarty, Ph.D., Assistant Professor at the University of Florida in Gainesville will receive $80,000 to study chemokine-based immunobiotherapeutics in ALS. Todd E. Golde, M.D., Ph.D., Professor, and David Borchelt, Ph.D., Professor, at University of Florida in Gainesville will receive $80,000 to explore the positive effect of rAAV-IL-10 in an ALS mouse model. Melvin Reichman, Ph.D., Senior Investigator at the Lankenau Institute for Medical Research in Wynnewood, Pennsylvania, will receive $240,000 to screen for drugs to stabilize the mutant SOD1 protein. Jill Zitzewitz, Ph.D., Associate Professor at the University of Massachusetts Medical School in Worcester, Massachusetts, will receive $160,000 to develop biomarkers and small molecule therapeutics for ALS targeted against an intermediate state in TDP-43. Severine Boillee, Ph.D., Associate Professor of the Brain and Spine Institute (ICM) in Paris, France, will receive $40,000 to examine peripheral nerve macrophages as a target to slow down ALS disease progression. Glen Larsen, Ph.D., President and CEO of Aquinnah Pharmaceuticals in Cambridge, Massachusetts, received seed funds of $88,135 to validate lead therapeutic compounds that decrease TDP-43 aggregation for their ability to reduce neurotoxicity in vitro and in vivo. The ALS Association will continue to fund the NEALS/TREAT ALS™ Clinical Trials Network, a joint project with the Northeast ALS Consortium, a nationwide group of clinical researchers dedicated to advancing discovery and testing of new therapies for ALS. Funding for the network this year will be $494,150. Drug development contracts are milestone-driven awards designed to rapidly bring the most promising potential therapies closer to clinical trials. Many of the contracts are in partnership with industry. Academic-industry partnerships are invaluable to drive treatment approaches for ALS more rapidly to the clinic. Clotilde Lagier-Tourenne, M.D., Ph.D., Service of Neurology, Massachusetts General Hospital, Boston, Mass., will receive $500,000 to test the therapeutic efficacy of human-derived antibodies targeting dipeptide-repeat proteins in C9orf72 disease. This study is in partnership with Neuroimmune AG, Switzerland. Ronald Klein, Ph.D., Associate Professor at the LSU Health Sciences Center in New Orleans, La., will receive $100,000 to test the therapeutic efficacy of the SINE compound KPT-350 in an adult onset ALS model. Clive Svendsen, Ph.D., Director of the Regenerative Medicine Institute at Cedars-Sinai Medical Center in Los Angeles, Calif. will receive $345,275 to develop AAV5-GDNF (TW002) for the treatment of ALS. This study is in partnership Treeway B.V. LTD, Rotterdam, The Netherlands. Leonard Petrucelli, Ph.D., Professor at Mayo Clinic Jacksonville in Florida and Mathew Disney, Ph.D. at Scripps Research Institute, Fla. will receive $500,000 to perform preclinical evaluation of small molecules targeting the C9ORF72 repeat expansion. Dinah Sah, Ph.D., Senior Vice President of Neuroscience at Voyager Therapeutics, Inc., in Cambridge, Mass., in collaboration with Joan Coates, Ph.D., University of Missouri, Columbia, Mo. will receive $500,000 to develop AAV gene therapy targeting SOD1 for the treatment of ALS. Derrick Gibbings, Ph.D., Assistant Professor at the University of Ottawa, Canada, will receive $489,000 to develop a drug delivery platform for delivery of silencing RNAs to motor neurons in vivo using exosomes. This is in collaboration with GlaxoSmithKline. Chien-liang Glenn Lin, Ph.D., Associate Professor at The Ohio State University in Columbus will receive $500,000 to develop small-molecule activators of the glutamate transporter EAAT2 for ALS. Benjamin Wolozin, M.D., Ph.D., Professor at Boston University, and Glenn Larsen, Ph.D., President and CEO at Aquinnah Pharmaceuticals in Cambridge, Mass., will receive $500,000 to validate lead therapeutic compounds that decrease TDP-43 aggregation for their ability to reduce neurotoxicity in vitro and in vivo. Pierre Drapeau, Ph.D., Professor at the University of Montréal in Canada will receive $500,000 to perform screening of neuroleptic derivatives in genetic models of ALS. Steven Burden, Ph.D., Professor at New York University, will receive $381,480 to continue development of a MuSK agonist antibody to promote maintenance of the neuromuscular junction in models of ALS. This study is in partnership with Genentech, San Francisco, Calif.
Jeffrey Rothstein, M.D., Ph.D., Professor, and Rita Sattler, Ph.D., Assistant Professor at Johns Hopkins University in Baltimore, Md., will receive $476,621 to continue development of antisense oligonucleotide therapy against the C9orf72 gene expansion in patient-derived iPS cells. This study will inform the design of the clinical trial in partnership with Isis Pharmaceuticals and Biogen Idec. The Association also offers The Milton Safenowitz Postdoctoral Fellowship for ALS Research Award. Founded by the Safenowitz family through the Greater New York Chapter of The ALS Association and in memory of Mr. Safenowitz, who died of ALS in 1998, these awards are to encourage and facilitate promising young scientists to enter the ALS field. Fellows work with a senior mentor and receive extensive exposure to the ALS research community through meetings and presentations. Kasper C.D. Roet, Ph.D., Postdoctoral Fellow at Boston Children's Hospital, will receive $100,000 to study how potassium channels drive ALS motor neuron hyperexcitability. Dejun Yang, M.D., Ph.D., Postdoctoral Fellow at the University of Massachusetts Medical School in Worcester will receive $100,000 to study the mechanisms of ALS-associated C9orf72 toxicity and to screen for therapeutic drugs. Marian Hruska-Plochan, Ph.D., Postdoctoral Fellow at the Institute of Molecular Life Sciences at the University of Zurich in Switzerland will receive $100,000 to study the pathogenic mechanisms of C9orf72 dipeptide proteins. Tao Sun, Ph.D., Postdoctoral Fellow at Stanford University in Palo Alto, Calif., will receive $100,000 to pursue genome-wide identification of RNA editing dysregulation and upstream regulators in ALS. Antonia Dominguez, Ph.D., Postdoctoral Fellow at Stanford University in Palo Alto, Calif., will receive $100,000 to perform functional analysis of C9orf72 mutations in ALS via targeted genome engineering. Funding is made possible by the generous support of Phi Delta Theta.